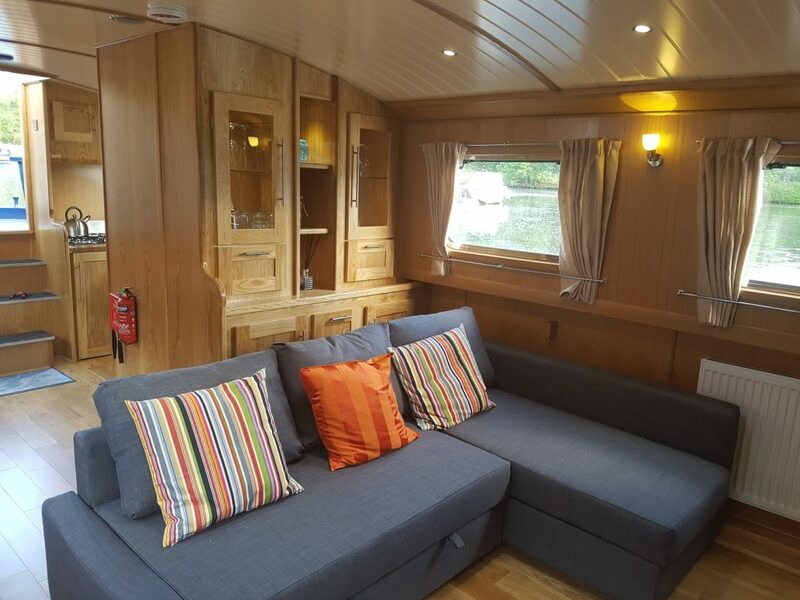 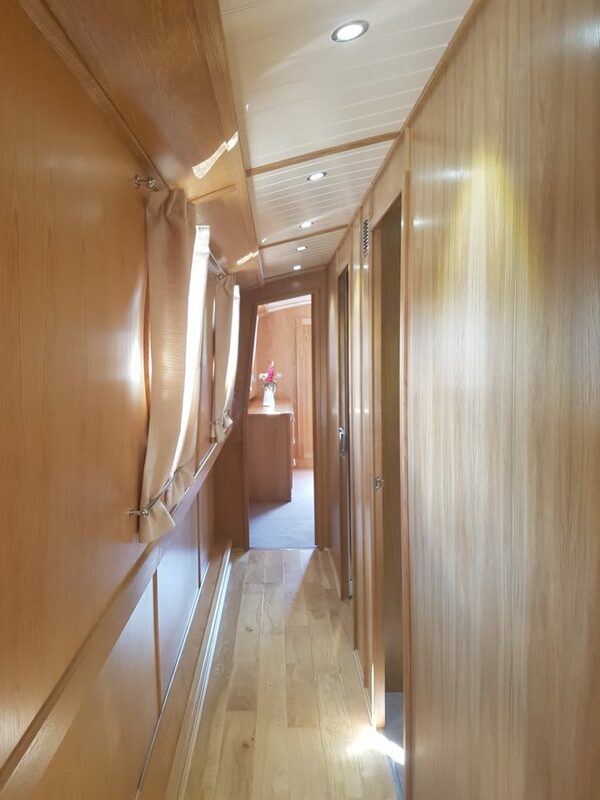 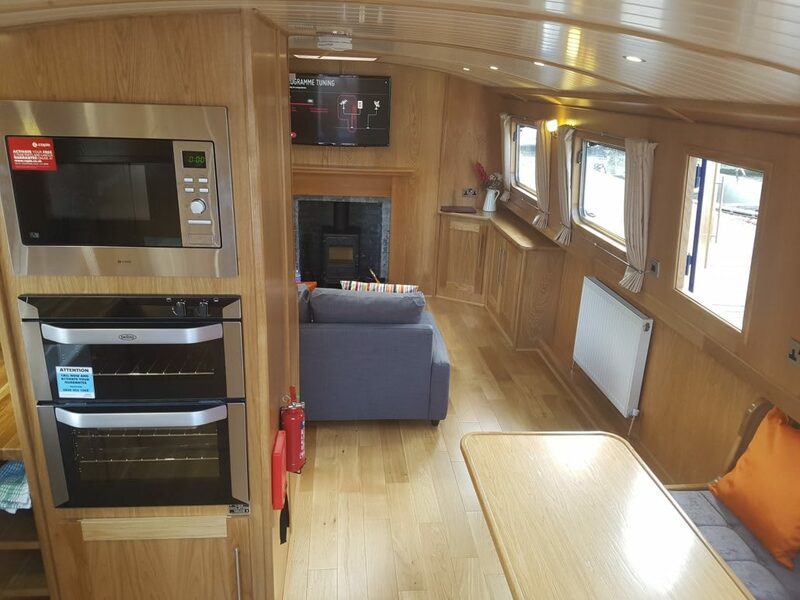 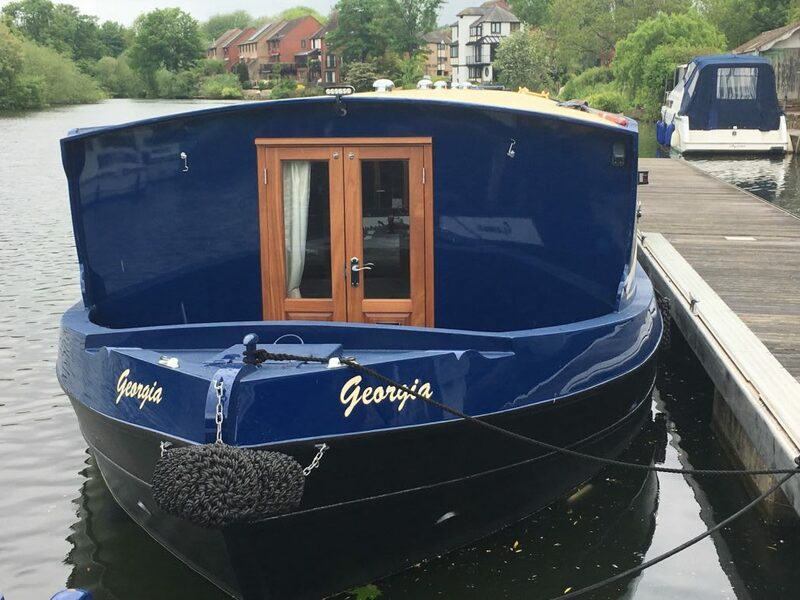 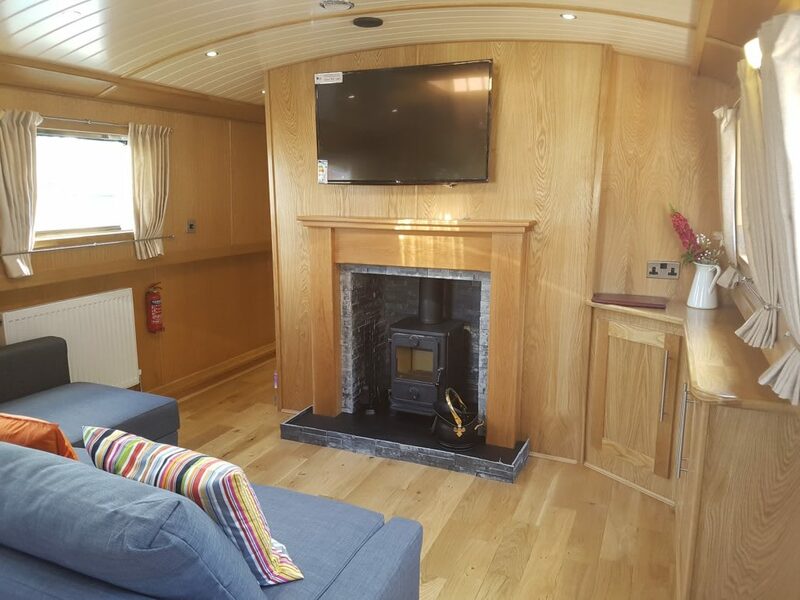 Georga is a luxury brand new wide beam boat with a modern and fresh feel, whilst still retaining the quaint charm of an English canal boat. 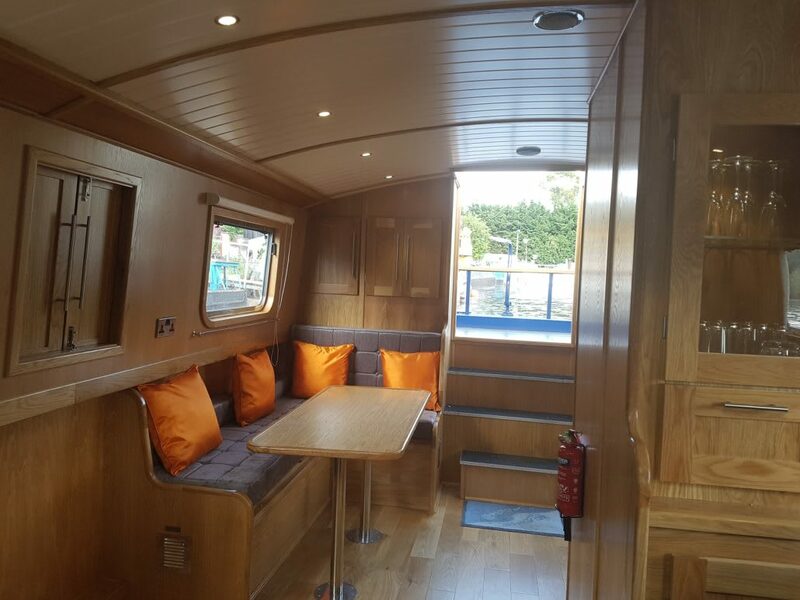 The seating on the front deck allows you to sit outside and enjoy the stunning scenery while on your boating holiday on River Thames. 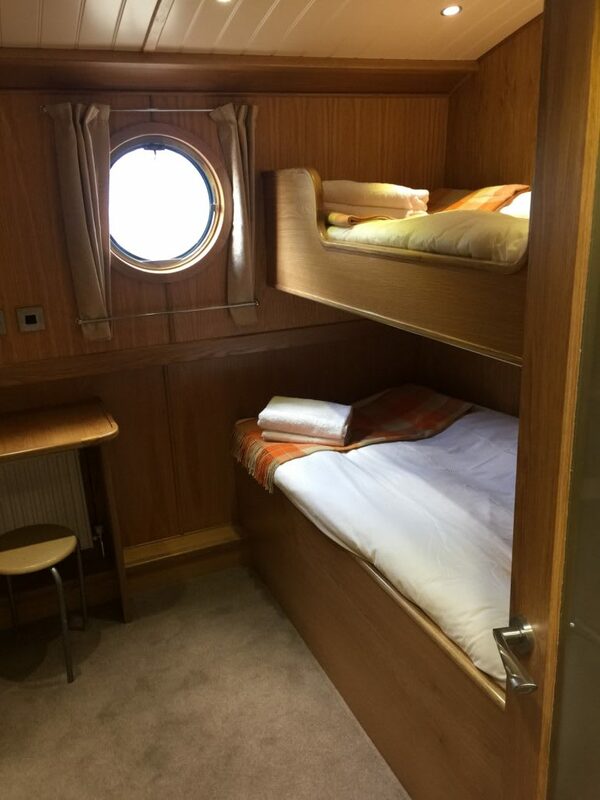 For your entertainment, there is WiFi (available by purchasing a 2GB SIM card), a flat-screen TV/DVD player. 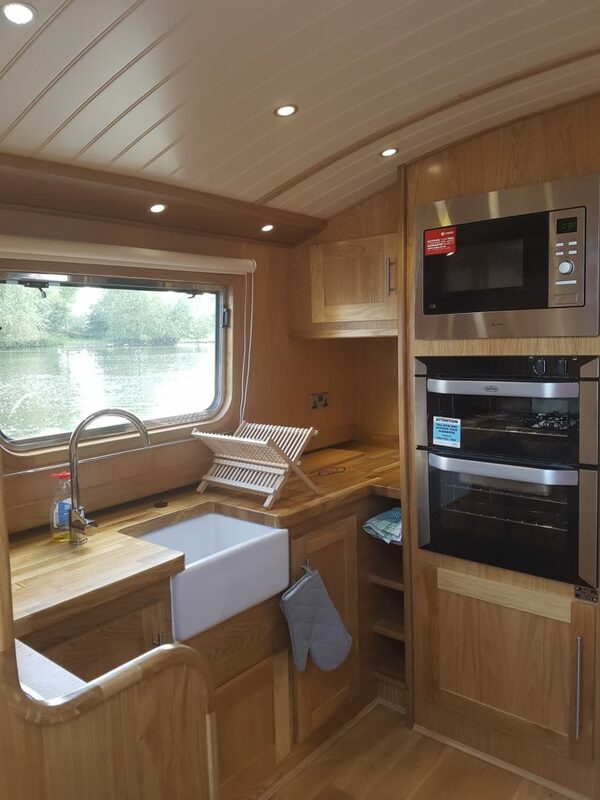 There are also 240v plug sockets throughout the boat. 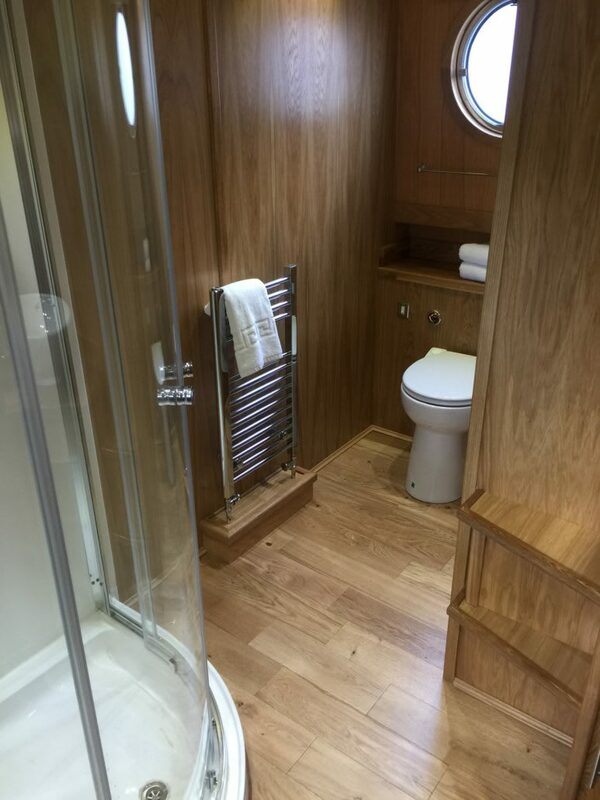 Central heating keeps the boat cosy and warm in the cooler months. 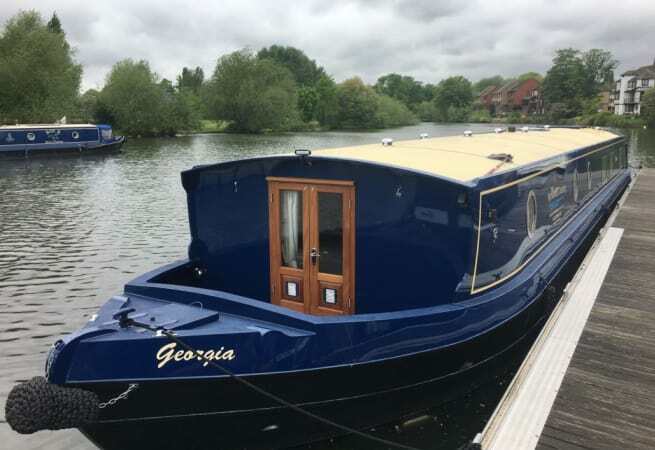 The River Thames provides easy navigation and is ideal for both first-time boaters and experienced boaters alike. 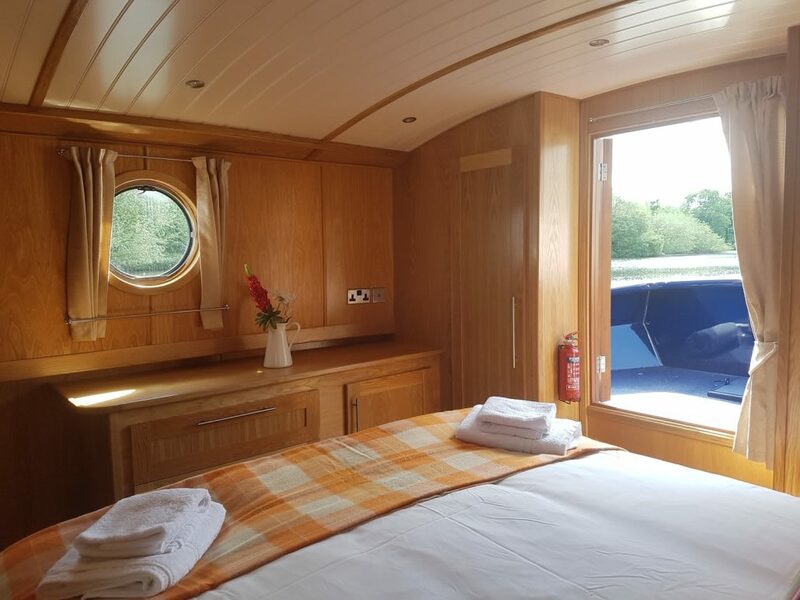 Routes and timings are provided for you so that you are aware of journey times and mooring places. 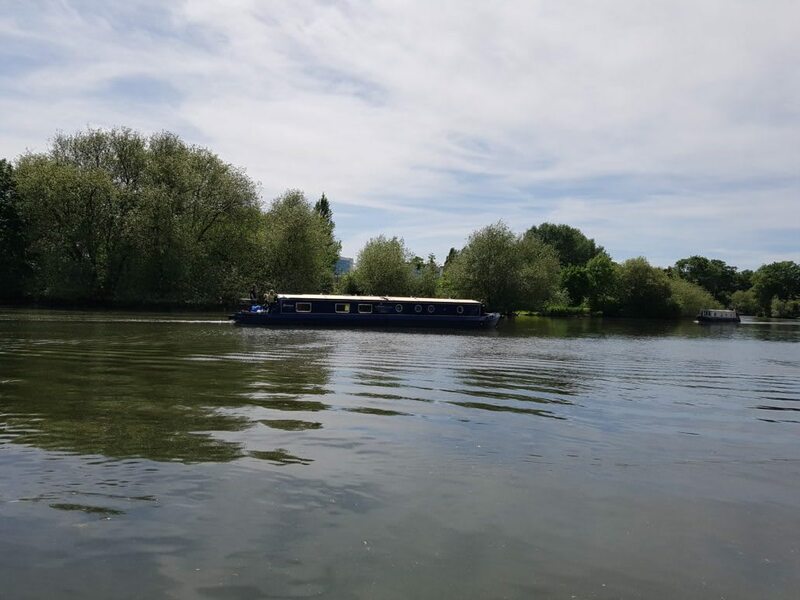 The cruise along the Thames offers stunning English countryside with some popular mooring spots such as Henley-On-Thames and Historic Royal Windsor. 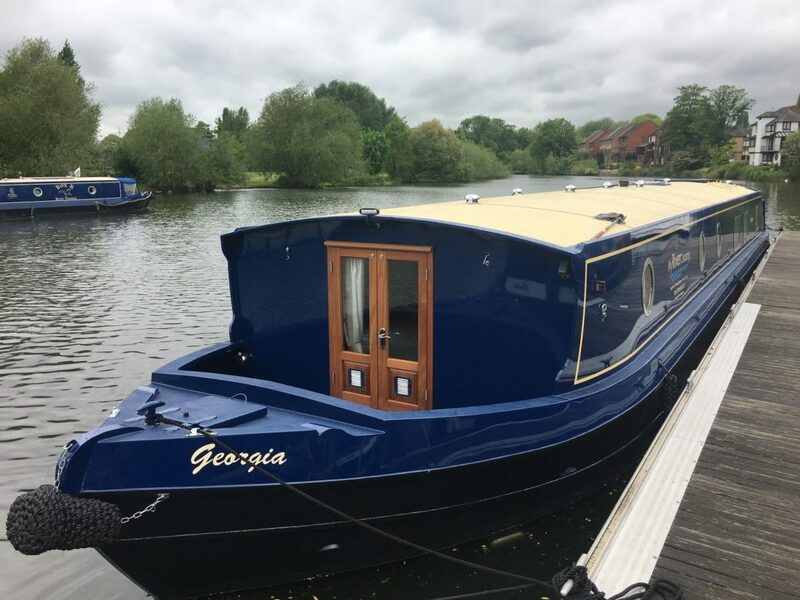 For the more serious boaters, we can also offer the RYA Inland Waterways Helmsman course which can be added as an optional extra to your holiday. 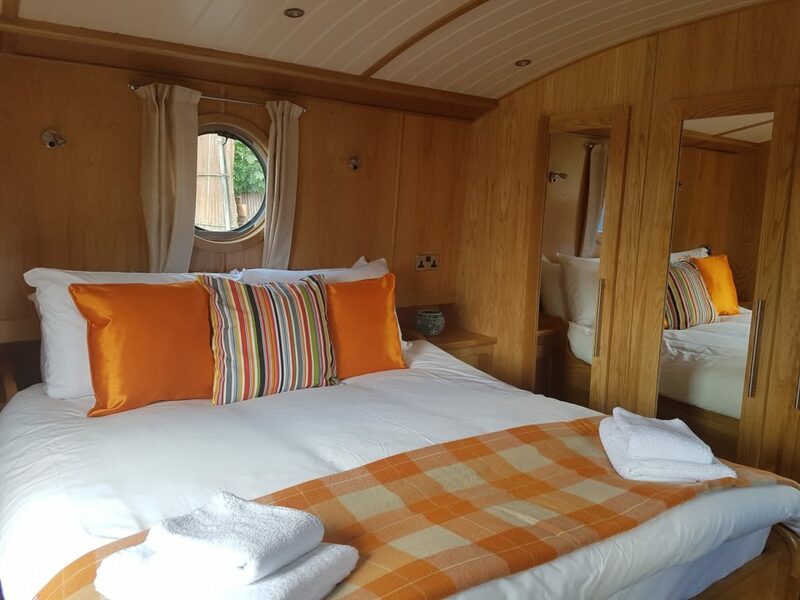 Georgia is available for bareboat charter and prices start from £1810.00 per week.